Ben brings with him a wealth of exposure to Oregon’s justice system. After college, Ben began at the Oregon Innocence Project as a legal intern and was subsequently hired full-time as Policy Associate. His work led to collaborations with the Bureau of Labor and Industries, Portland State University, the Oregon Youth Authority, and various nonprofits in Oregon. As an intern at the Oregon Innocence Project, he investigated legal questions pertaining to prospective clients’ assertions of wrongful conviction. This investigation assisted attorneys’ decision-making and guided legal strategy on the path toward exoneration. 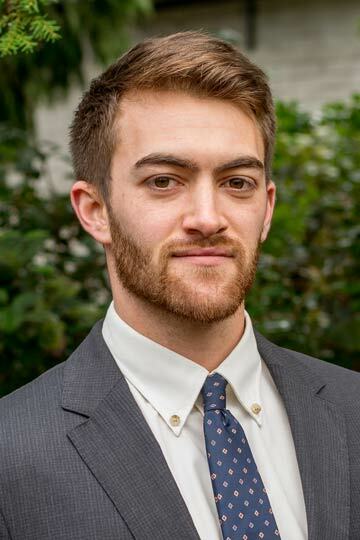 As a Policy Associate, he worked alongside attorneys and policy stakeholders to craft comprehensive reports analyzing criminal justice practices in Oregon. His report on juvenile justice has been recognized in the media and led to the creation of a work group at the Oregon Legislature. Currently, Ben is a full-time law student at Lewis and Clark Law School.